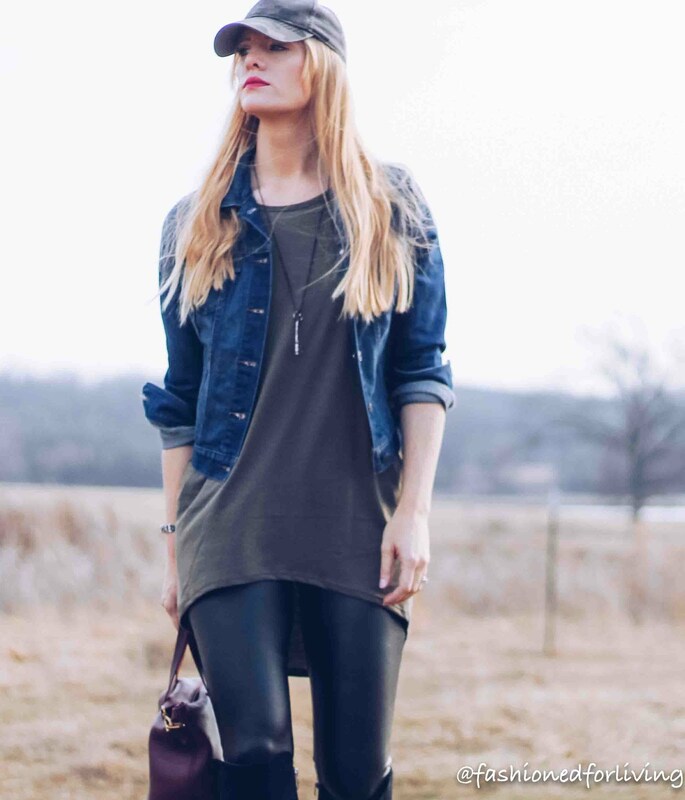 Fashioned For Living: faux leather leggings outfit with camo hat, denim jacket, and over the knee boots. lularoe irma tee outfit. faux leather leggings outfit with camo hat, denim jacket, and over the knee boots. lularoe irma tee outfit. This is one of those outfits that you can wear almost year round, and go in so many different directions with. Change out the over the knee boots for pumps, add a clutch, and possibly lose the hat and you got yourself a smoking date night look. 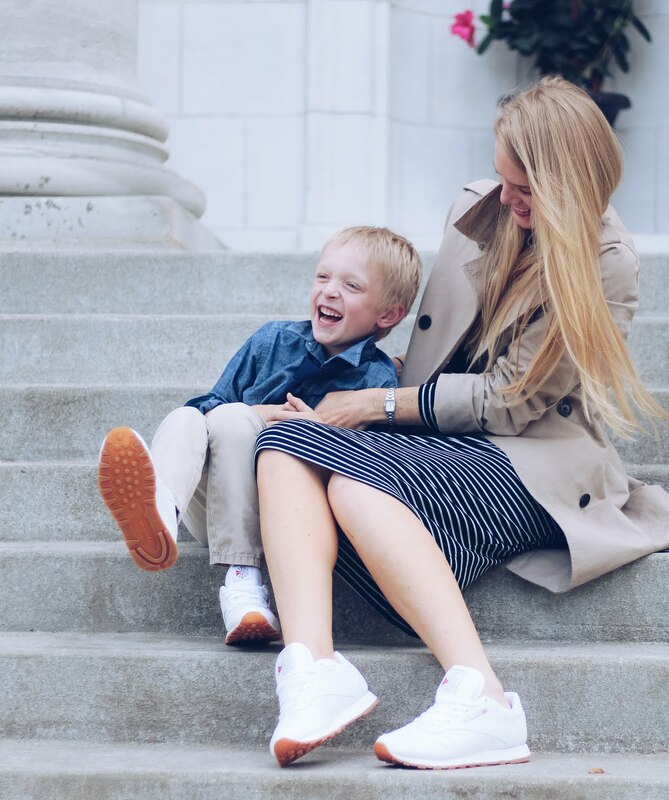 Or swap the boots for sneakers for a super comfy yet stylish moming it up look. The base is of this look is faux leather leggings and a oversized tee, and there are really SO many possibilities, and what I mentioned above is just the jumping off point!! The tee featured here is a olive green LuLaRoe Irma tee. I'm in love with the rounded high low hem that is uber flattering, and a modest crew neck which can really be difficult to find. This look is the perfect way to rock leather leggings if they seem intimating because the tunic length and crew neck gives modesty to off set the sexiness of the leather. 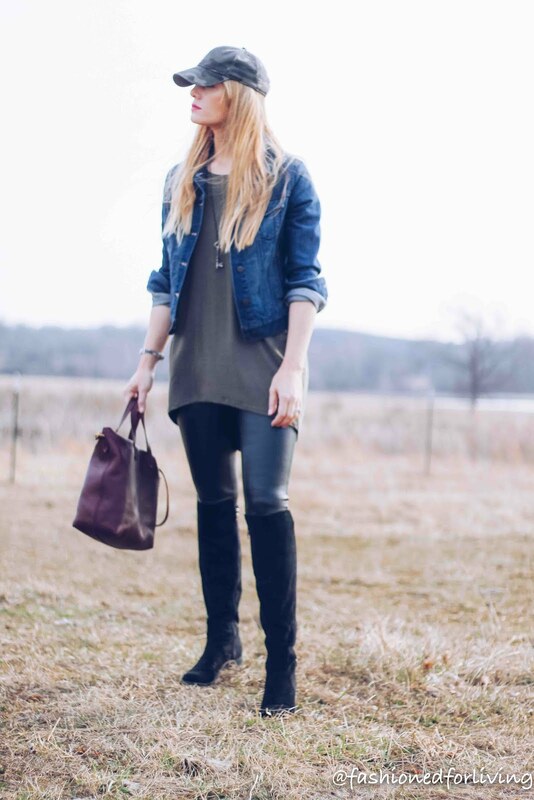 The denim jacket, over the knee boots, and ball cap take it one step further in making the leggings feel more casual and appropriate for everyday where. camo hat - here - might also find one in stores now at Walmart for less than 3 bucks!! tunic tee - LuLaRoe Irma Tee - check with Karen @lularoewyatt and she will hook you up!! faux leather jeggings - mine are from Walmart. I wasn't sure how I felt about wearing leather leggings at the time so I went this super affordable option. Linked is the same style in loads of print/color options, but you will have to check in store for for the faux leather version.